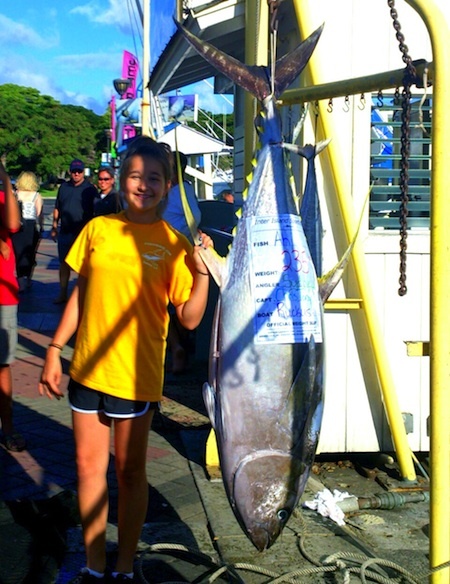 13 year old Sydney with 235 lb Ahi! Congratulations to Sydney for hauling in this monster 235 lb Ahi! 13 year old Sydney joined Captain Matt aboard the Ruckus on a sport fishing charter and hauled in this beast of fish while deep sea fishing off Honolulu, Oahu. Aloha! 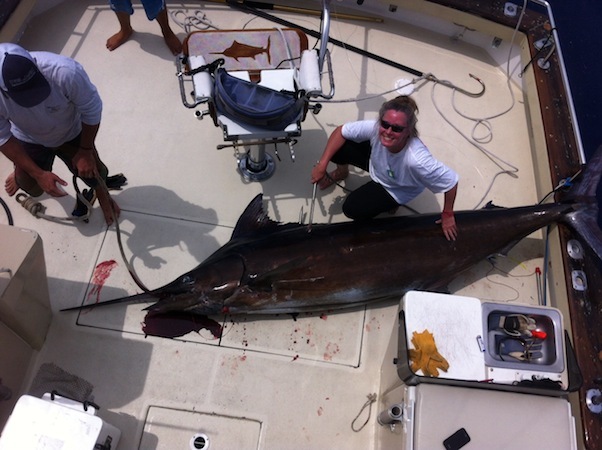 Mahalo to Lynn for choosing Maggie Joe Sport Fishing! She joined Captain Mike aboard the Maggie Joe on a deep sea fishing charter and hauled in this nice 450 lb Blue Marlin! Aloha! Mike's 200 lb tag and release Blue Marlin! 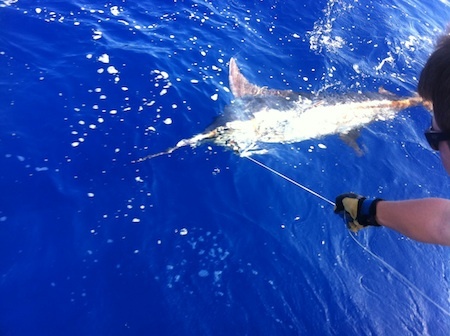 Mike reeled in this estimated 200 lb Blue Marlin while deep sea fishing off Kona, Hawaii aboard the Maggie Joe. The fish was tagged and released. Aloha! John with 522 lb Blue Marlin! 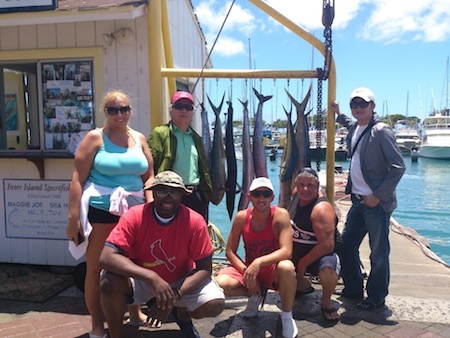 Mahalo to John for choosing Maggie Joe Sport Fishing! He hauled in this massive 522 lb Blue Marlin while deep sea fishing off Kona, Hawaii aboard the Maggie Joe! Aloha! 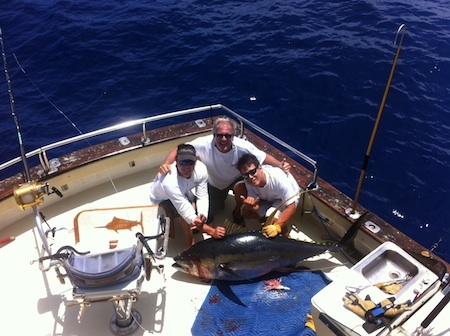 Angler John with 181 lb Ahi on the Maggie Joe! 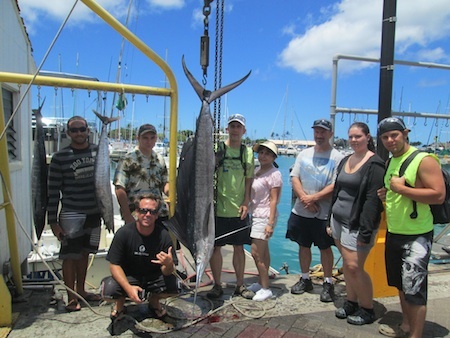 Big Mahalo to John for choosing Maggie Joe Sport Fishing! John joined Captain Mike and Mark aboard the Maggie Joe on a sport fishing charter. They hauled in this nice 181 lb Ahi while deep sea fishing off Kona, Hawaii. Aloha! Patrick, Emma, Abby and Nienke with 230 lb Blue Marlin and Ono! 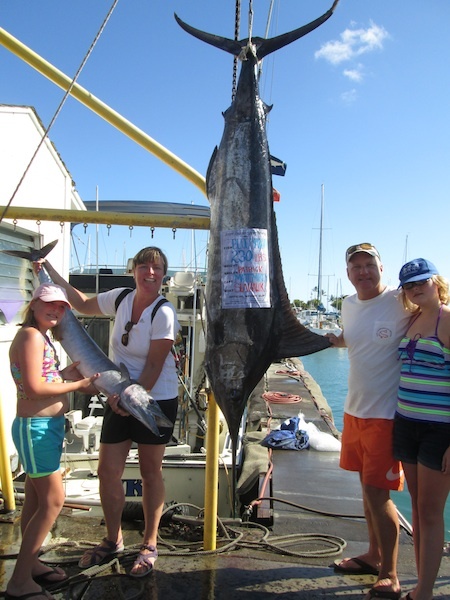 Mahalo to Patrick, Emma, Abby and Nienke for choosing Maggie Joe Sport Fishing! The group joined Captain Matt and Mate Mikey aboard the Ruckus on a sport fishing charter. 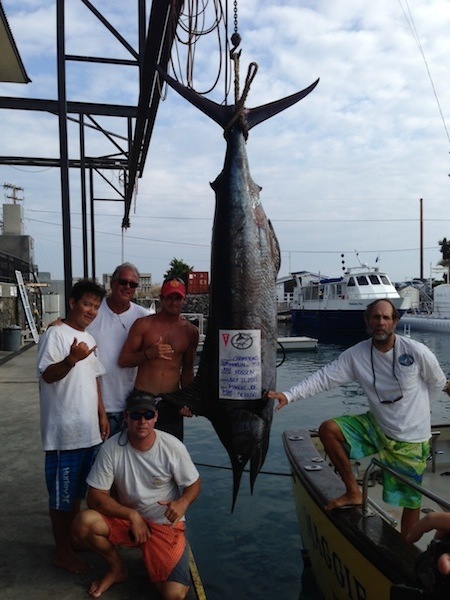 They were able to haul in a nice 230 lb Blue Marlin and a Ono while deep sea fishing off Honolulu, Oahu! Aloha! Robert, Ben and Thanis with their catch! 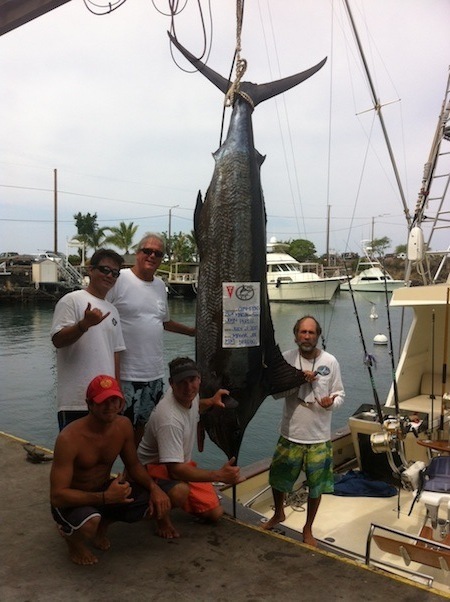 Big Mahalo to Robert, Ben and Thanis for choosing Maggie Joe Sport Fishing! It was an epic day out on the water aboard the Sea Hawk with Captain Matt and Mate Ty. 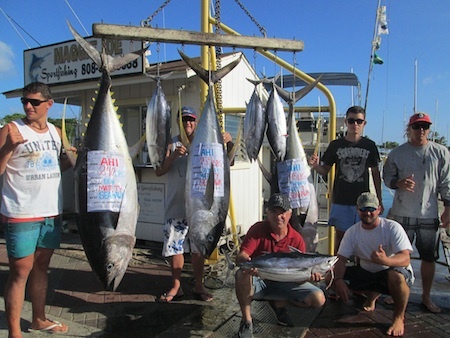 They hauled in 240 lb, 195 lb and 155 lb Ahi’s as well as 4 Aku’s while deep sea fishing off Honolulu, Oahu. Great catch and Aloha!